(Minghui.org) Chen Jie, male, born in March, 1964, was previously director of the Shahekou District Police Department in Dalian. He was promoted to deputy director of the Dalian City Police Department due to his persecution of lawyer Mr. Wang Yonghang. He continuously executed Chinese Community Party (CCP) policies of persecuting Falun Gong after he took the posts of deputy director of the Dalian City Police Department, director of the Development Zone Police Department Precinct and deputy chief of the Jinzhou District on May 17, 2012 (the Development Zone and Jinzhou District were merged into the Jinzhou New District). Mr. Wang Yonghang, 38, worked at the Qianjun Law Firm in Liaoning Province, and was considered one of the “Top Ten Human Rights Protection Lawyers.” He has provided legal aid to Falun Gong practitioners on several occasions since 2007. In response to his wife''s detention in Shanghai in May, 2008, he wrote an open letter to Chinese President Hu and Premier Wen, making the case that it was unlawful to prosecute Falun Gong practitioners with criminal penalties. He asked the authorities to immediately correct the wrongful decisions made against Falun Gong practitioners since 1999, and to immediately release all detained practitioners. Mr. Wang defended practitioner Mr. Cong Rixu with an innocent plea on June 16, 2009, which displeased the CCP officials again. Zhou Yongkang, CCP Political and Legal Affairs Committee director, then issued an order for his arrest. A group of police and several other unidentified staff broke into Mr. Wang''s home and arrested him at around 5:00 p.m. on July 4, 2009. His home was subsequently ransacked. Chen Jie, who was the Shahekou District Police Department Precinct director at that time, was one of those primarily responsible for Mr. Wang''s arrest. The World Organization To Investigate the Persecution of Falun Gong (WOIPFG) made an announcement regarding the arrest on November 2, 2010, embarking on the investigation of Chen''s crimes. The Dalian City Political and Legal Affairs Committee directed the arrest of over 70 practitioners in Dalian on July 6, 2012 in retaliation for the installation of satellite dishes which receive overseas New Tang Dynasty Television programming. Chief Zhou Yongkang from the CCP Political and Legal Affairs was involved in the incident. The Dalian City Political and Legal Affairs Committee and Dalian City Police Department mobilized the police force from the Dalian City Domestic Security Division, the Zhongshan District Police Department Precinct and the Jinzhou New District Precinct to carry out the action. Chen Jie was the major planner and commander of the operation. Senior citizen Ms. Zhang Guilian was persecuted to death. Guards broke Ms. Hou Chunli''s leg and injured her kidney. Mr. Zhang Guoli was given forced injections of unidentified drugs and was in critical condition. Mr. Qu Bin was tortured, then fell into a coma. He was released in critical condition. Arrest warrants were issued for over ten practitioners, including Mr. Ma Ruitian, Mr. Wang Shouchen, Ms. Hao Yueshan, Mr. Wang Defa, Mr. Liu Qingtao and Mr. Zhu Chengqian. Mr. Liu Dexi from Sanshilibao was taken to a forced labor camp to serve an 18-month term. Ms. Zhang Guilian, 69, was from the Development Zone in Dalian. Officers forced their way into her home and arrested her on July 6, 2012. She was held in the Yaojia Detention Center in Dalian, where she was tortured into critical condition. Ms. Zhang, a kind and originally healthy person, died on August 5, 2012, 29 days after her arrest. Individuals responsible for her persecution include Shao Benjin, Ouyang, and Liu. Ms. Hou Chunli, 28, is from Jinzhou District. Jinzhou Police Station officers arrested her on July 6, 2012. She was held in the Dalian City Detention Center, where she was subjected to cruel torture resulting in a broken leg and injured kidney. She was released in a disabled condition. Over twenty officers including Kong Shixue, Xing Tianbao, Jiang Huishan and Li Xiaolong participated in the arrest. They took his key, then accessed Mr. Ma Ruitian''s home and confiscated 170,000 yuan, three bank debit cards, Falun Gong books, several cell phones, a computer, a printer and other items. Ms. Ma Aibing owns a business. Officers also confiscated a large amount of money from her home. The Development Zone Government Organizations brought charges against Mr. Ma Ruitian on November 8, 2012. Mr. Ma Ruitian was previously involved in a car accident, resulting in his legs being paralyzed; he remained in a paralyzed condition for many years. After he practiced Falun Gong, he was able to stand on his own and gained strength doing some physical work as well. Mr. Zhang Guoli, Mr. Qu Bin and Mr. Zhu Chengqian were arrested on July 6, 2012 by Qingniwa Police Station officers of Zhongshan District Police Department Precinct and the Development Zone District Police Department at their workplace, Dongfang Fishing Bay and nearby bus stations in Jinzhou New District in Dalian. They were taken to the Dalian City Detention Center. Mr. Zhang Guoli was subjected to torture, resulting in kidney injury and other severe injuries. As the disorders worsened, he was no longer able to eat rice or drink water. He became emaciated, weighing approximately 30 kilograms (about 66 pounds), lost from his original weight of 75 kilograms (165 pounds). He was allergic to certain medicine; however, nurses simply injected drugs into his body without conducting tests, causing both chest and cardiac pain. Nurses administered forced intravenous injections, resulting in an accelerated heart rate; his head and body began violent convulsions, his face became distorted and he involuntarily shed tears. Following the drug administration, he suffered from incontinence of the bladder and discharged blood in his urine and stool. He also felt pain in his heart and had difficulty breathing. He drooled involuntarily and continuously, and fell to the ground many times. Despite these symptoms, guards claimed that he was pretending to be sick. They shocked him with electric batons and chief guard Wang struck his face. At the time of his release, Mr. Zhang was not able to walk. 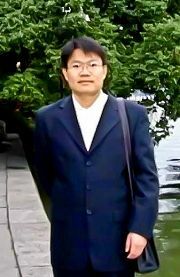 Mr. Qu Bin was arrested on July 6, 2012 by officers from the Qingniwa Police Station in Dalian. His home was also ransacked. He began a hunger strike on the day he was taken to the Dalian City Detention Center. Guards roughly inserted a tube into his windpipe, then force-fed him. He nearly lost consciousness due to the extreme pain. Even then, a guard yelled ruthlessly, “Let him suffer. It won''t be fun unless he suffers.” They then continued the force-feeding. Mr. Qu collapsed when they were finished. Chief Xing claimed that he was pretending and kicked his back. Mr. Qu''s arms and legs were bound to rings bolted to the floor, where he remained unconscious. He was rushed to the 210 Hospital at approximately 10:00 p.m. that evening in critical condition. Mr. Qu was returned to the detention center ten days later, and immediately underwent forced-feeding that afternoon. Chief Xing said to him that evening, “It''s useless to go on a hunger strike. We won''t release you even if you die. Nobody is held accountable when a Falun Gong practitioner dies.” The guards continued force-feeding him the next morning. At around 5:00 p.m., Mr. Qu fell into a deep coma; he was then rushed to the 210 Hospital again. Although Mr. Qu was in critical condition, the guards still tried to make him sign a guarantee statement, promising to release him if he signed. They didn''t give up their attempts until they realized that Mr. Qu was actually in critical condition. Ms. Hao Yueshan lived in the Cuizhu Residential Quarters in Jinzhou New District. Three officers, including deputy chief Xing Tianbao and officer Li Xiaolong from the Harbinlu Police Station, broke into her home and arrested her on July 6, 2012. She was taken to the Dalian City Detention Center. Her home was left open after the police damaged the lock. The home was ransacked, with cigarette butts scattered all over the floor; after the police finished, the house looked abandoned. Her bank debit card, bank passbook and cash were confiscated. Ms. Hao is an excellent teacher. She followed the principles of Truthfulness-Compassion-Forbearance, and worked diligently and compassionately to guide and educate her students. She fostered the development of many good students who then benefited society. She was highly recognized by school administrators. Ms. Hao once taught physics in a middle school in Dalian. She was conscientious and developed many excellent students. Several of her students participated in national physics competitions, and some won first prizes. Prior to her arrest, Ms. Hao conducted remedial classes; she was a responsible and devoted teacher. Her teaching was easy to follow and her students quickly improved their grades. Many students came to her classes after hearing about her excellent teaching from other students. However, she was subjected to persecution by the CCP several times. She was dismissed from her position, and her husband then divorced her due to the stress of the persecution. Mr. Liu Qingtao, in his 40''s, was arrested by Jinzhou Police Department officers for going to Beijing to appeal for Falun Gong in 1999, then sentenced to five years in prison. In 2006, he was taken to a forced labor camp to serve a two-year term. During those years, his wife Xiaoling lived on a small income working as a house cleaner. Her job supported their child in school, and the care for her mother-in-law. The family finally united after Mr. Liu was released. However, Mr. Liu was followed while he was driving to the Development Zone, intercepted and detained again at around 9:00 a.m. on July 6, 2012 by four plainclothes officers from the Wanli Township Police Station. The CCP''s legal organizations issued an arrest warrant for him on November, 8, 2012. Mr. Zhu Chengqian was an employee at Pulandian Bureau of Quality and Technical Supervision in Dalian. He started practicing Falun Gong in 1996 and greatly benefited from the practice. He follows the principles of Truthfulness-Compassion-Forbearance and conducts himself as a good person. He was conscientious and responsible in his job and saved a lot of money for the country. Since the CCP started persecuting Falun Gong, Mr. Zhu has been detained five times. He spent seven years in the Dalian City Forced Labor Camp, where he was cruelly tortured and as a result, his body was covered with boils. He was barely able of take care of his daily needs. Despite these physical issues, he was still forced to perform slave labor in the camp. He was detained again in front of his workplace (Dongfang Fishing Bay, Jinzhou New District, Dalian) by officers from the Dalian City Police Department and the Development Zone Police Department on July 6, 2012. The CCP''s legal organizations have just issued an arrest warrant for him. Mr. Liu Dexi from Sanshilibao, Puwan New District, Dalian was arrested on May 22, 2012, then taken to the Dalian City Forced Labor Camp for a term of 18 months. Earlier, he had been held for almost eight years. Ms. Wang Xiuying, in her 70''s, and Mr. Qin from Dalian were arrested by Harbinlu Police Station officers in the Development Zone on June 20, 2012. Both were taken to the Yaojia Detention Center. Ms. Qin Shulan and Mr. Wang from Jinzhou were arrested at their homes on June 21, 2012 by officers from the Harbinlu Police Station. Their homes were ransacked, and the police confiscated 34,000 yuan cash and other personal items. The families of several practitioners arrested in Dalian on July 6, 2012 filed a joint lawsuit against personnel responsible for the persecution of their loved ones. They placed their fingerprints on file and requested the authorities to hold those persecutors accountable, and requested the unconditional release of their family members. Ten families hired lawyers from Beijing to uphold justice and defend their family members. After the lawyers'' intervention, the Procuratorate returned the case to the Zhongshan District Police Department Precinct. Fourteen practitioners, including Mr. Ma Ruitian, Mr. Wang Shouchen, Mr. Hao Yueshan, Mr. Wang Defa, Mr. Liu Qingtao, Mr. Zhu Chengqian are currently being held in the Dalian Detention Center. The lawyers believed that the charge of undermining law enforcement lacked both facts and legal foundation. They stated that the installation of satellite dishes to receive programs from New Tang Dynasty Television was not a crime. Additionally, officers involved in the case are suspected of modifying the laws for personal gain; therefore, the families should boldly ask for the release of their family members. Additional facts have surfaced, indicating that arrest warrants were issued for another 12 practitioners from Jinzhou New District.